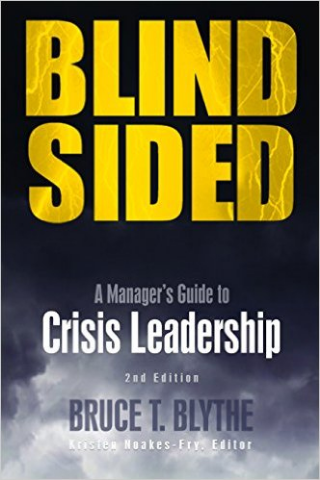 Avoid being “blindsided” by an unexpected emergency or crisis in the workplace – violence, natural disaster, or worse! 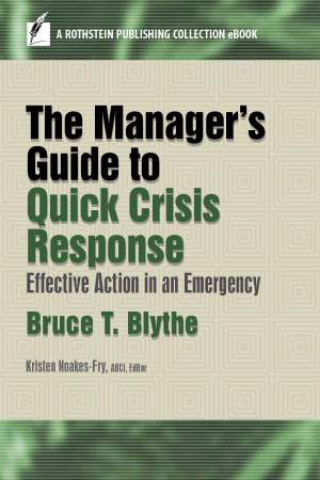 Bruce Blythe’s The Manager’s Guide to Quick Response in a Crisis: Effective Action in an Emergency offers the time-tested skills that prepare you to act effectively – on behalf of yourself and your co-workers – in the face of threat and chaos. Blythe uses real-world case studies, examples, and checklists to help you be the top-notch leader the situation requires. “Hope for the best and prepare for the worst” sums up Blythe’s philosophy. This short book is the essence of the basic practical counseling that he would give if he were sitting next to you at your desk.